Sometimes, it feels like there is something of an obsession with eyebrows in our culture. Just look to beauty icons like Cara Delevingne and Kim Kardashian and expressions like “brows on fleek” and you can see how coveted perfectly coiffed eyebrows are. Great brows are just a recent trend, however; they are actually one of the most prominent features on your face, and can completely change your appearance. If you’re wondering just how important brows are, read on for all the ways eyebrows can alter your appearance. You may not realize it, but well-groomed brows are the secret to a youthful appearance. Even if they aren’t aware of it, everyone looks at your eyebrows, and no amount of makeup can hide bad brows. When your eyebrows are properly shaped, it lifts your face and makes your eyes look bigger, in turn, making you look younger. Properly groomed eyebrows frame your eyes in such a way to flatter them. When your brows are misshapen, it makes your eyes look tired, sad, or mad. The right brow shape varies from person to person, but when they frame your eyes correctly, your eyes appear brighter. You can consult with our threading technicians to see what brow shape is best for you. A more polished looking brow gives an overall more polished look. If you aren’t regularly maintaining your eyebrows, they will look unkempt. In contrast, if you are coming in for threading at our studio in Chelsea regularly, you look much cleaner and more refined. Symmetry is an integral part to beauty, yet no one has a perfectly symmetrical face. 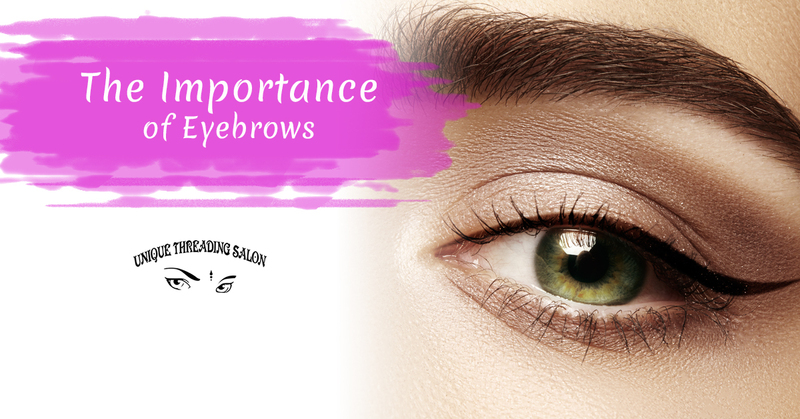 However, if you make sure your brows are properly balanced, you can get a lot closer. When you maintain your brows, you achieve a more symmetrical look, which is more aesthetically pleasing to the eye. Maybe your eyes are too close together or far apart. Maybe you don’t like how short your face is. Regardless of the specifics, it’s not a hopeless case; you can do a lot to correct flaws on your face by correcting flaws in your eyebrows. With the right brow shape, you can lengthen your face and create more definition. You can’t change your face shape. However, you can change your eyebrow shape, which can go a long way towards changing the way you face appears to be shaped. For example, flat eyebrows tend to make the face look shorter. If you have a longer face that you feel self-conscious about, you might opt for a flatter brow shape to create the appearance of a shorter, more balanced shape. If you are looking for the best brow shape for your face, we can help you at our threading studio in Chelsea. With the best method of eyebrow shaping at our disposal and professional and skilled technicians at the ready, you can trust our eyebrow threading services to help you achieve the look you’re looking for. Contact Unique Threading Salon for hair removal services in Chelsea here today!